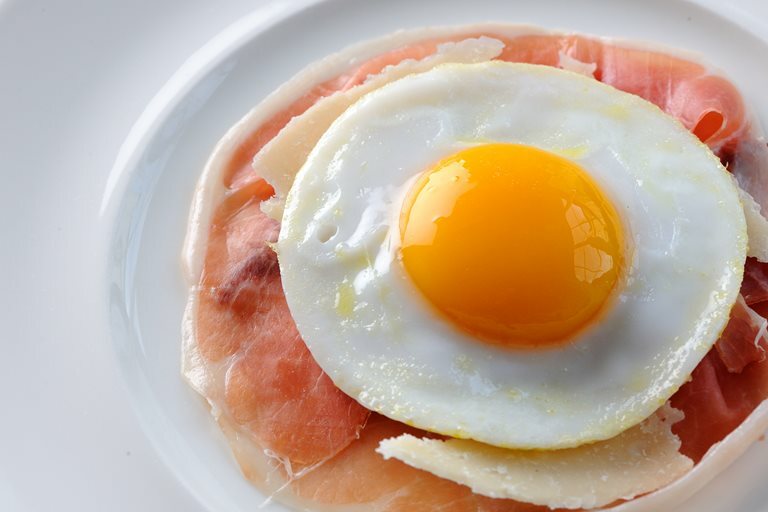 This fantastically simple ham and eggs recipe is not only delicious but also versatile. Serve as a dinner party starter, a mid-week simple supper or a brilliantly indulgent Sunday morning breakfast. Cumbrian, Parma, and Iberico hams all work well here – to speed up the preparation for Dominic Chapman's dish, buy pre-sliced ham from your local deli. For added indulgence, serve with bread warmed in the oven, and drizzled with olive oil.